Approximately 100 Indian River County Farm Bureau members and guests attend the annual county meeting held at the Heritage Center and Citrus Museum in Vero Beach each year. Local restaurant, 14 Bones BBQ caters the event by providing ribs, chicken, baked beans, mac and cheese and coleslaw. 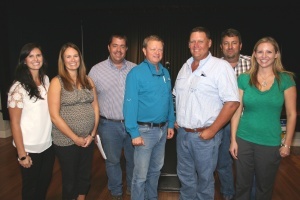 Farm Bureau members bring homemade desserts to top the delicious meal. The meeting invites members to enjoy dinner and fellowship while getting the latest updates on agricultural issues and enjoy entertainment by the local 4-H Line Dancing Team. 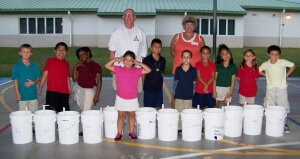 The Indian River County Farm Bureau worked with local suppliers to get material and supplies donated for 35 “self-watering container gardens” for Ms. Murray’s Treasure Coast Elementary after-school gardening club. Ms. Murray has received several Florida Farm Bureau Ag in the Classroom mini-grant scholarships in past years for the gardening club. 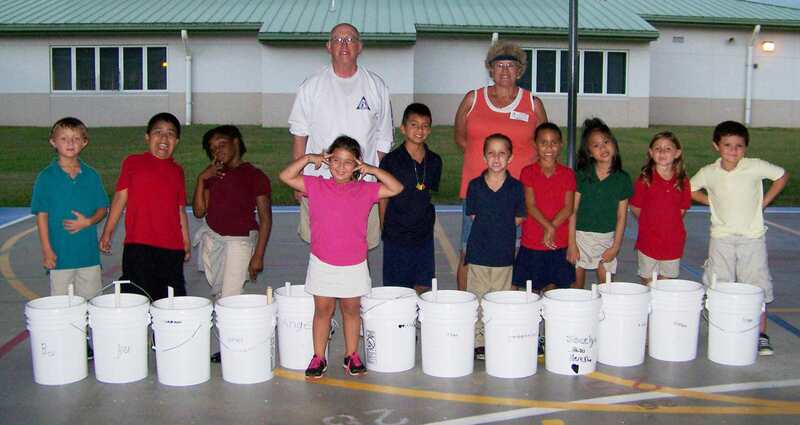 Five gallon buckets, potting soil, fertilizer, lime and countless volunteer hours were donated in preparing the project.